"The iPad for Field Service? It's a Game Changer!" 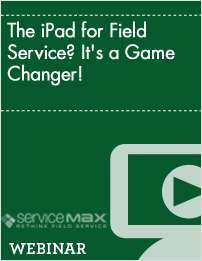 Free On-Demand Webinar: "The iPad for Field Service? It's a Game Changer!" This on-demand webinar explains how the iPad is changing the way business is done for field service professionals.